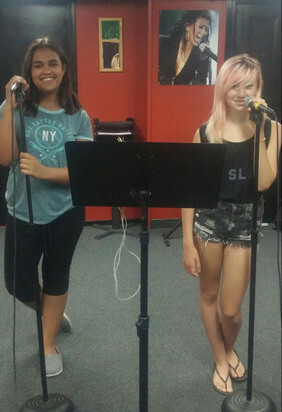 Voice lessons at Torch Light Music School trains the student’s voice as well as the whole performer. Students are taught to sing solo with their favorite CDs or IPODS through the state-of-the-art PA system installed at our studio. Voice students are taught stage performance techniques utilizing our large studio equipped with professional microphones, stage lighting and full length mirrors. Torch Light Music School voice students are coached for audition training as well so they can be well prepared to get the lead! 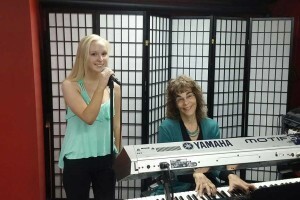 Voice lessons at Torch Light Music School are taught by Director, Maura Lynch. Torch Light Music School has taught thousands of students over the years to find their joy in music, discover their talents and increase their confidence and self-esteem. Torch Light Music offers our voice students many performance opportunities including our annual concert held at The Regent Underground Theater, several Open Mic performances held at our studio and audition opportunities in the performing ensemble, The Torch Lights. Many voice students trained by Maura have been accepted into prestigious music colleges, have achieved professional opportunities in the music and radio field and have success currently working as professional singers, entertainers and teachers. Torch Light utilizes a 16 track digital recording studio to make recordings of the singer’s progress at no additional charge. Our voice students are also encouraged to bring in songs that appeal to them as that training allows for a student to become increasingly more self-directed and motivated. Torch Light Music singing lessons are available to students from ages 8 through adult of all levels. Here are some samples of our talented students. To register for private voice lessons, please fill out the following form or download the registration form.